The Southern Links Open is an unparalleled golfing experience for any amateur golfer. It is a 54 hole pairs Betterball Stableford competition of three rounds played over three of the Souths finest courses. The competition is open to male and female golfers aged 16+ with an active CONGU handicap, for an entry fee of 550 per pair. Tee times for both rounds 1 and 2 will be allocated a week prior to competition start. On Day 3 pairs will be playing in score order leaders being the last out. There could not be three better courses to play in the South. All three have hosted the Open Championship and Royal St Georges is ranked no 1 course in England. This is an amazing opportunity to experience the best in UK golf! The competition has sold out months before the entry closing date during the past 2 years so dont leave it too late to confirm your place for 2017. 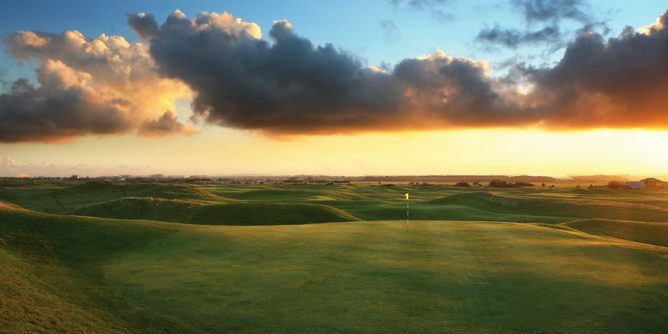 Royal Cinque Ports: The Royal Cinque Ports Golf Club is a Members Club with an 18 hole Championship Links golf course, regarded by many as one of the finest in the world. The Club also has excellent practice facilities, including a driving range, putting green, chipping green and pitching greens. Royal St Georges: The Club has a distinguished golfing history and is proud to have hosted amateur and professional tournaments since the 1880s. The club is one of Englands finest links courses, and has played host to The Open Championship fourteen times. Princes Golf Club: While steeped in history, Princes Golf Club offers all that is best in modern championship links golf. A regular host of Local Final Qualifying for The Open Championship, Princes also co-hosted The Amateur Championship in 2013. Prizes are awarded to the top 3 pairs by means of vouchers.